Although it may sound out of the ordinary, yurts can be an option for year-round living in Canada! Offering both simplicity and sustainability, having a yurt as a seasonal or full-time dwelling is suited to those who want to reside in nature, or need an accessory building on their property. 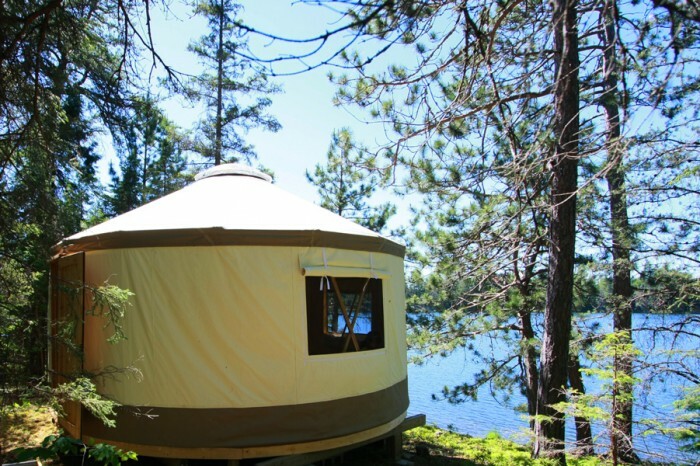 You may have already seen yurts, which are commonly used for Glamping in Canada. But first, what is a yurt? Traditionally used as a mobile shelter by various nomadic tribes in central Asia, a yurt is a circular tent made from a covering of felted wool (or other similar skin coverings). 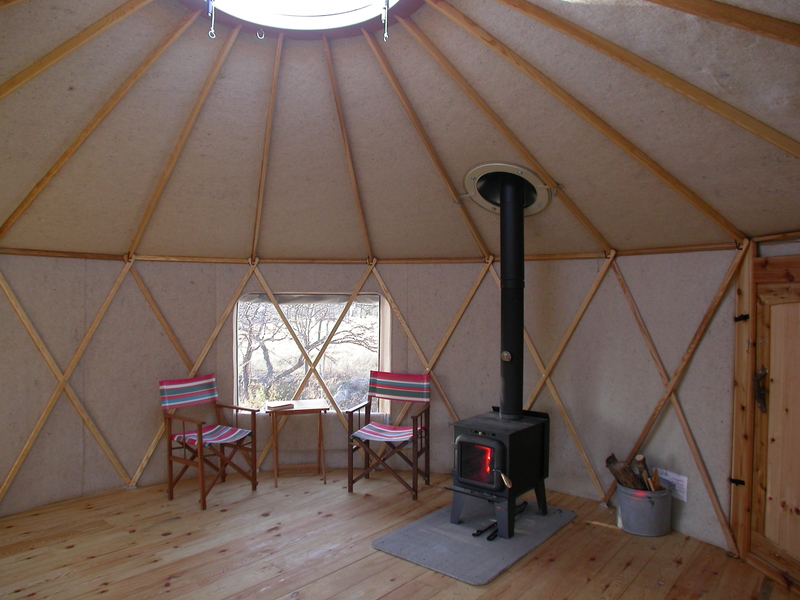 A yurt also includes a foldable wooden circular frame, roof beams and a roof ring, lattice walls (made of wood or bamboo), a wheel possibly steam-bent, and a door. Although the original yurt was quite basic, nowadays we're seeing these structures equipped with modern technologies including solar power, composting toilets and rainwater collection. As innovative solutions for off-the-grid living advance, having a yurt as a primary dwelling will become increasingly feasible. Worried about surviving the chilly Canadian winters? 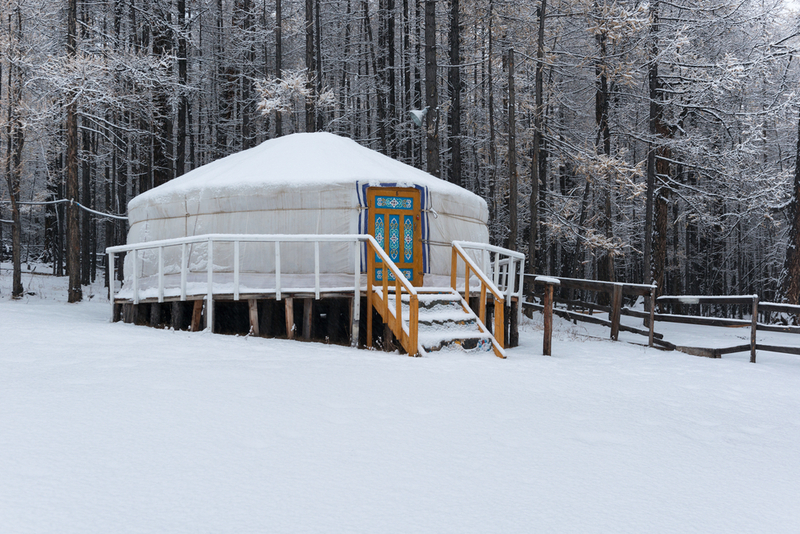 There are plenty of ways to keep your yurt heated. First, having the right insulation is important. 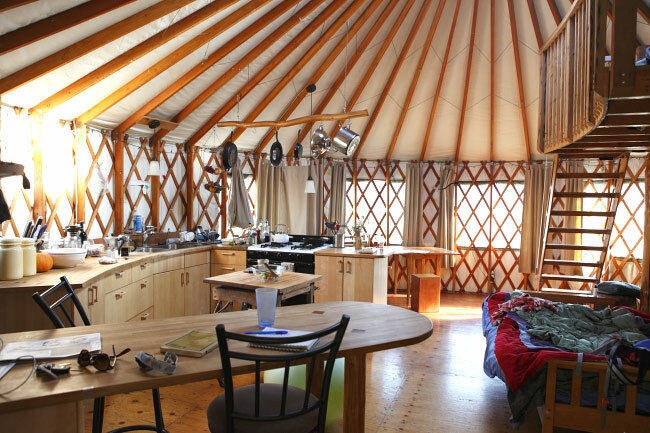 The use of a wood stove, propane heat, or electric heaters (if a source is nearby and accessible) are options for yurt design. Seriously considering it? 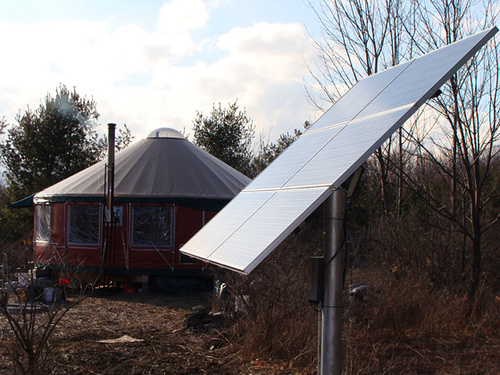 There are Canadian companies who specialize in yurts, like Yurta. They offer comfort features as part of an upgrade package on their basic model including premium wall fabric, additional windows, a chimney outlet, or insulated floors and walls. Yurtz By Design offers cool features such as door upgrades (even French doors!) and rain catching systems. 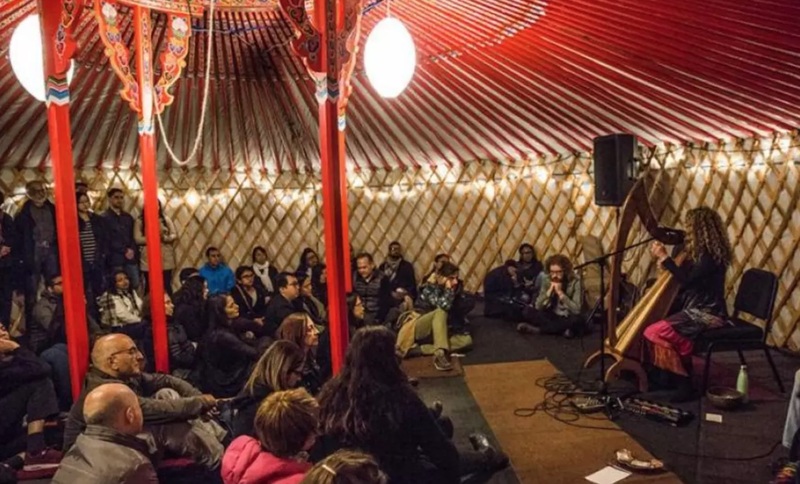 Little Foot Yurts hold workshops on how to construct your yurt. Biome, which is a company who specializes in high-quality tent structures, one of those being the yurt. The basic yurt offers its own architectural uniqueness simply through its design, but it's a great blank canvas to personalize a suite. 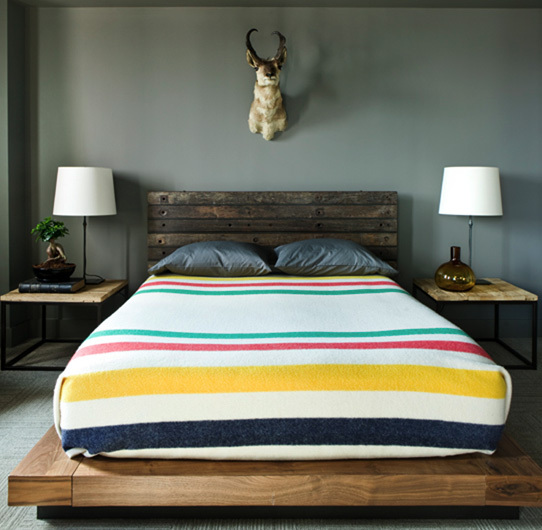 Personally, I'd incorporate Hudson Bay Blankets in mine to infuse a distinctly Canadian look! ...or build a loft if you own a bigger space! The possibilities are truly endless. Before you embrace yurt living, make sure you confirm what regulations exist in your location to see if there are limitations. Not all places will allow a yurt. 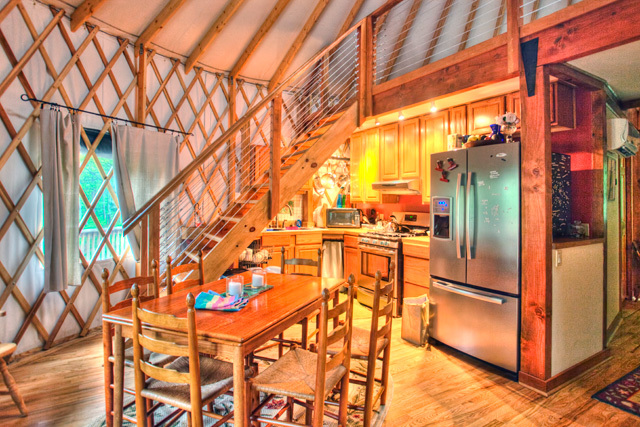 What makes yurt living magical? 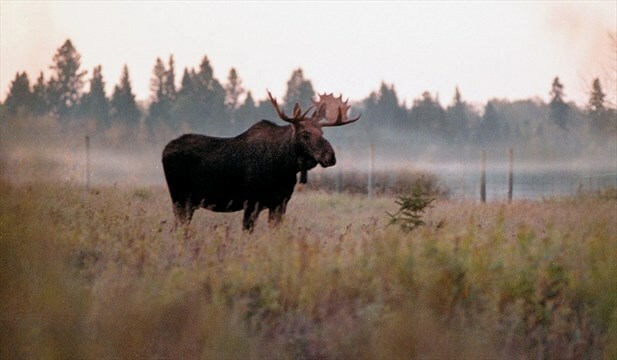 For me, it's the opportunity to be closer to Canadian wildlife, like a moose or a beaver! Are you in Toronto? If so consider seeing a yurt at the Aga Khan Museum in the Don Mills area during Toronto's annual Nuit Blanche event taking place on September 29th, 2018. Nomad Micro Homes: Less Is More… Or Is It?